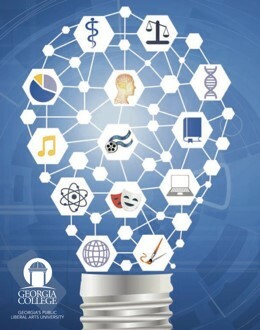 The GC Student Research Conference provides undergraduate and graduate Georgia College students from all disciplines the opportunity to present their scholarly work to the campus community. The deadline for submitting abstracts has passed. 1. Click Submit Your Abstract or My Account. 2. Login to your account. 3. Click the button above. 4. Upload your abstract and click Submit. Abstracts must be between 150-300 words. Why Submit Your Presentation? More exposure for your work! Presentations are searchable through Google, and you will receive reports showing how many people have downloaded your presentation. What about Copyright? YOU retain the copyright. Why do I need to provide the name of my mentor? The Student Research Conference requires that mentors sign off on your project before presenting your findings. Need Help? Contact Jennifer Townes in Ina Dillard Russell Library at 478-445-0991 or . If you have trouble submitting your presentation materials, email them to Jennifer and she will upload them for you! Do Changes in Police Presence Affect Violent Crime Rates? Do Farm Subsidies Affect Crop Diversification? Do Violent Penalties in the NHL Affect Win Percentage? Do Voter Demographics Affect the Passage of County-City Government Consolidation? Does an adoptee’s race affect the probability of an interracial adoption? Does Construction Type Affect Level of LEED Certification? Does Increased Spending on Public Education Affect School Performance? Does Race Impact Judicial Outcomes? Does the Age You Get Married Affect Your Probability of Divorce? Does the effect of driving distance on PGA/LPGA tour earnings differ across genders? Does the Southwest Effect Still Exist? Does Three Point Shooting Percentage Affect Winning Percentage in the NBA? Does Where You Grow Up Affect Your Chances of Being Drafted into the NFL? Has Affirmative Action Affected Female or Minority Leadership of Manufacturing Firms? Mental Health in Prison: A problem that must be addressed. Faculty Mentor: Tsu Ming Chiang, Ph.D. Faculty Mentor: Ji Seun Sohn, Ph.D.